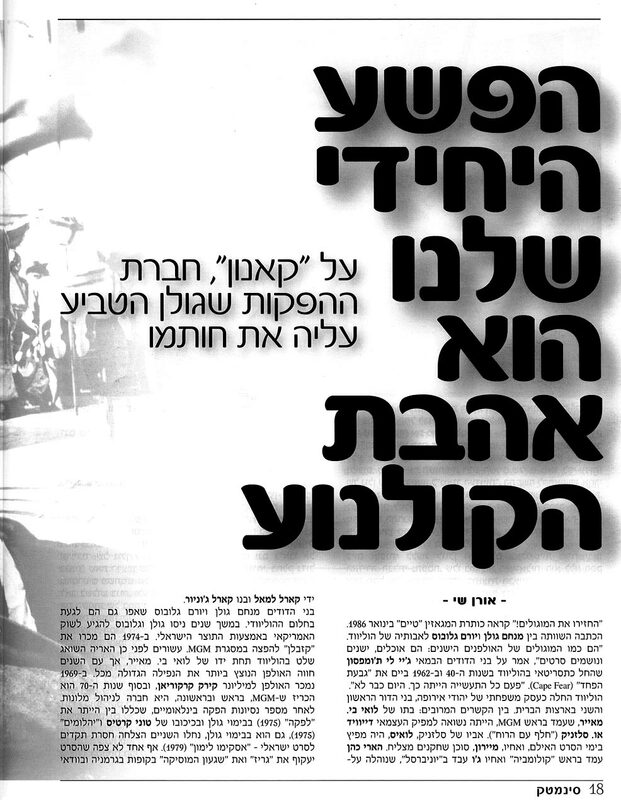 Menahem Golan turns 80 today. 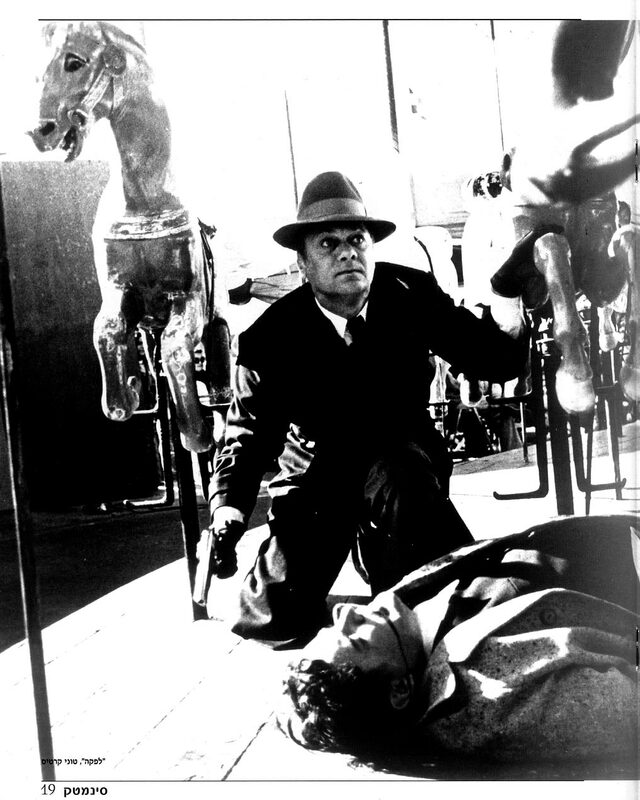 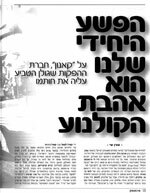 To celebrate the birthday of this filmmaking giant, the Tel-Aviv Cinematheque Magazine in Israel put out a special tribute issue. 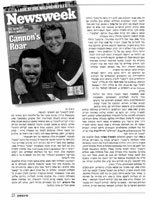 I was happy to contribute a piece about the history of Cannon Films, the American production company of Golan’s and his cousin’s, Yoram Globus. Scans can be found below. Click on the icons for larger, readable versions (ordered right-to-left). 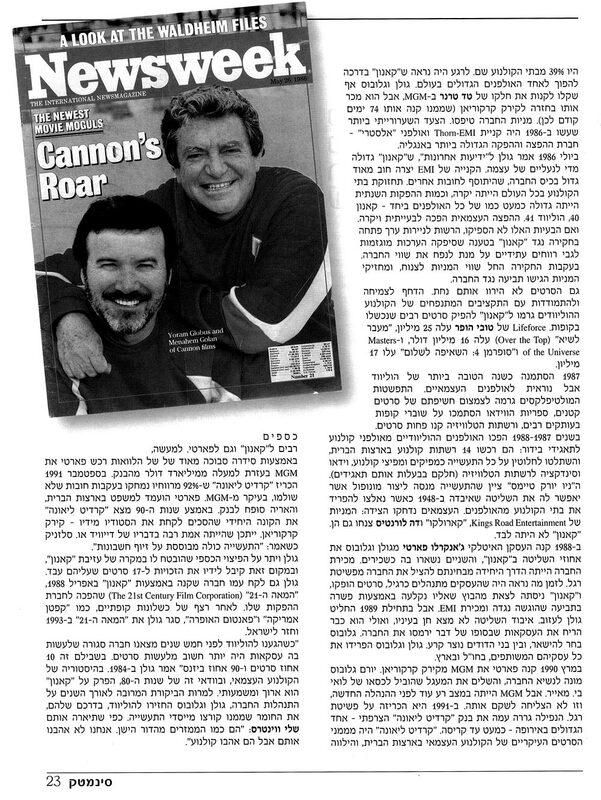 The article is in Hebrew, for English check out two related ones I wrote for Films In Review: An Interview with Golan and a piece titled, How to Stuff a Lemon Popsicle, about the series of international sexploitation comedy hits he co-produced in the 70s-80s.